Hasbro and HBO introduce a new Game of Thrones edition of Monopoly – AiPT! New edition integrates elements of the hit series into gameplay using tokens and properties inspired by the show, coming to retailers January 2019. Just in time for the holidays, HBO and Hasbro are releasing a new edition of Monopoly for Game of Thrones. The brand-new features including customized tokens, iconic properties and graphics infused within the game board. This is an impressive edition to begin with as it also includes music components incorporated into the board itself. You can preorder the board game here. PAWTUCKET, R.I. (November 19, 2018) – Today, Hasbro, Inc. (NASDAQ: HAS) and HBO join forces to announce the launch of an all new edition of MONOPOLY: GAME OF THRONES game. 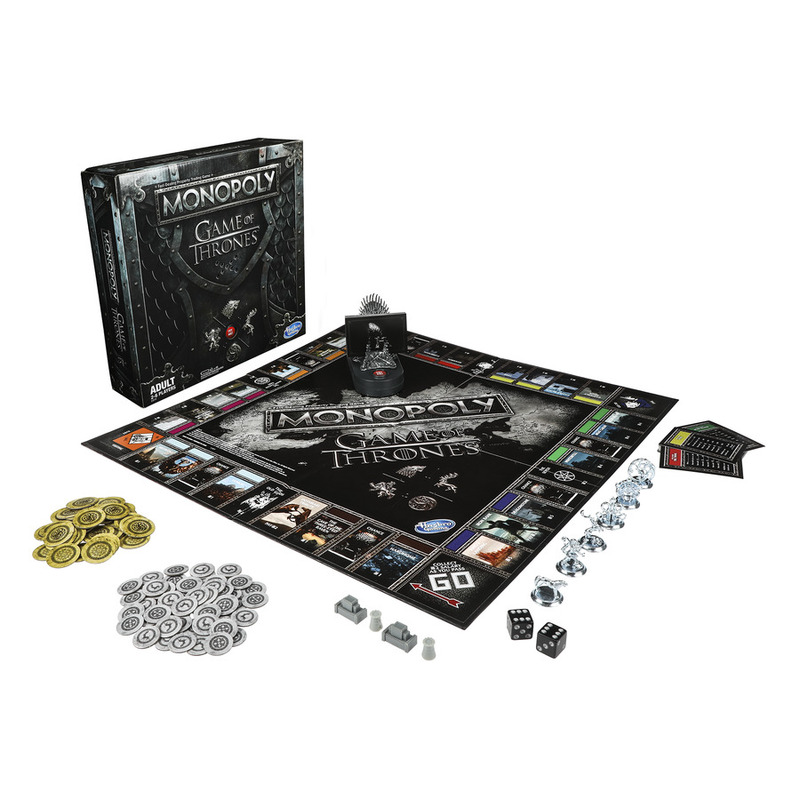 Inspired by the network’s hit series GAME OF THRONES, MONOPOLY: GAME OF THRONES is being rereleased with brand-new features including customized tokens, iconic properties and graphics infused within the game board. The MONOPOLY: GAME OF THRONES Edition game, designed for fans ages 18 and up, will be available for pre-order today at Walmart, GameStop, and Amazon, for a suggested retail price of $29.99. The game will be available at all major retailers nationwide beginning in January, 2019. Preorder it here. MONOPOLY is the world’s favorite family game brand and is enjoyed by more than 1 billion players in 114 countries across the globe. Fans can engage with the MONOPOLY brand across many platforms and formats including live events, fashion licensing, digital gaming, casino gambling, and more. Stay updated on the latest MONOPOLY brand news at Monopoly.com,Facebook.com/Monopoly, @HasbroNews on Twitter, and @Hasbro on Instagram. For more information on MONOPOLY: GAME OF THRONES Edition game, visit HasbroGaming.com.